Coca-Cola has launched a pan-European content hub on Facebook in support of its Diet Coke brand and its 'Love It Light' strategy. The hub, developed by FullSix, is aimed at 17 to 29-year-old women and features news, gossip, fashion, music and humorous content, and the link will be included on outdoor, TV and radio advertising. 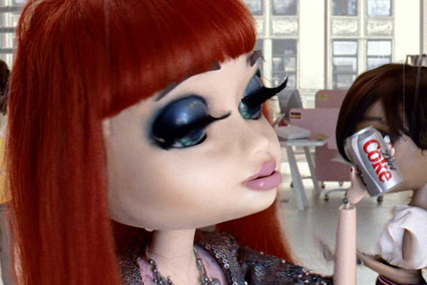 FullSIX has also created a series of webisodes based on the puppet characters in Diet Coke's TV ads, Eleanor, Bernadette and Irene. Each short film, featuring the iconic 80s anthem, Maniac, is housed on YouTube as well as the Facebook hub, with the characters shown in 24 scenarios throughout the year. Users are able to leave video messages for characters, as well as sharing them with friends across Facebook, Twitter and YouTube, via a social media-sharing toolbar. Diet Coke has also partnered with online portal Netvibes to deliver up-to-the-minute music and fashion tips, and relationship advice. The brand will also run rewards activity throughout the year, including ringtones, wallpaper and competitions, which also link through to the Coca-Cola loyalty site, Coke Zone. To support the hub, Diet Coke has launched an online ad campaign across targeted sites, including tailored ads on Facebook. Social media agency, Mediatronica, will seed the content online through Twitter sponsorships and toolbar buys. The current ‘Love it Light' brand campaign was unveiled in February. As well as above-the-line activity, Diet Coke also agreed a year-long partnership with online fashion retailer ASOS.com, and a tie-up with Kiss radio.